One emerging remote sensor platform is the Small Unmanned Aircraft System (sUAS), commonly referred to as a drone. 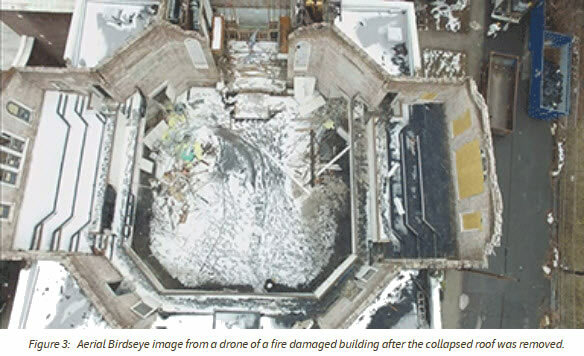 A drone provides a stable sensor platform that is remotely operated to capture data, typically in the form of high resolution pictures and video. In this article the requirements, advantages, and limitations of utilizing drone technology will be discussed. In August 2016, the Federal Aviation Administration(FAA) enacted Part 107 which is the integration of drones into the commercial airspace, including licensing and aircraft registration requirements. For the operator, termed the Remote Pilot in Command (PiC) by the FAA, there are testing and registration requirements that must be conducted through an FAA sanctioned testing center. The tests, similar to what all commercial aircraft pilots are required to take, include weather, navigation chart reading, airspace regulations, and air vehicle dynamics elements. Every air vehicle greater than eight ounces in weight needs to be registered and externally labelled with an FAA assigned ID like the tail number on a passenger plane. The FAA tightly regulates the commercial usage of drones. Drone flights are limited to an altitude of 400 feet above the ground except when flying over an object such as a building or antenna, where the limit is extended to 400 feet above the object. Coordination of flights with nearby airfields is also required. Large commercial airports, like Charlotte-Douglas International, designated a Class B Airspace by the FAA, require written requests for approval to fly within the airspace and flights are coordinated with air traffic control during the flight. Smaller airfields require direct contact and coordination to permit a drone flight to be allowed. 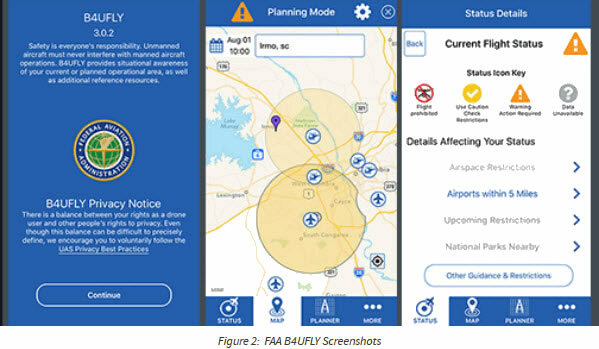 The FAA provides an online tool called B4UFLY to assist in determining restrictions and flight requirements for a given location. 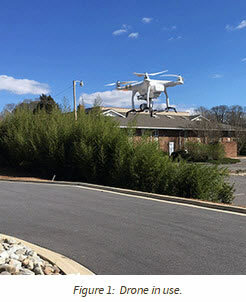 Using a drone as an imaging platform has many advantages. First is safety as potentially unsafe structures can be documented remotely from a secure location early on in the investigation before any bracing has been applied. High locations or difficult to climb objects such as towers can be documented. A complete perspective of a scene can be captured from the air that cannot be done with a handheld camera. These overall images can be used to determine areas that require additional inspection and documentation, which can make the process more efficient for large scenes. 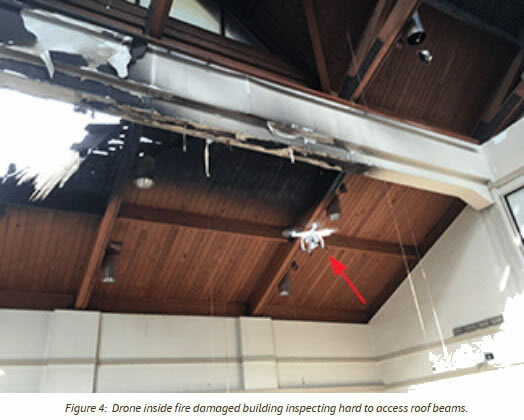 There are certainly limitations to using a drone for inspections. The coordination of surrounding airfields and the process to get FAA permission in some locations require preplanning. Weather is certainly a factor too. Excessive winds and rain are conditions that prohibit flying. Flying directly over moving vehicles is also prohibited and needs to be accounted for in flight planning of a roadway scene. Line of sight to the drone is also a requirement to fly and requires the planning of safe locations for the pilot during the flights. The use of a drone is not a solution for all situations. However, it is a tool to allow better data to be collected faster and safer in some situations that can then help the analysis of the cause or scope of damage of an incident. A properly licensed and experienced drone pilot can add value to the investigation process. 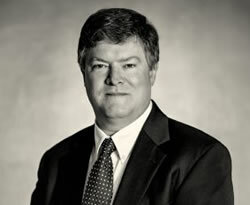 Thomas J. Kelly, MSEE, MBA, PE, CFEI is a licensed professional engineer in South Carolina, North Carolina, Alabama, Georgia, Florida, and Maryland, and an NCEES Model Law Engineer. Mr. Kelly's 25-year career in electrical engineering includes forensic engineering investigation involving industrial electrical accidents, electrical equipment failure analysis, control system failures, including robotics and automation components and scope of damage assessments. He has conducted investigations for arc flash incidents, electrocution and electric shock accidents and lightning strike evaluations.